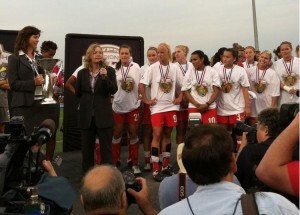 Thanks to Flash owner Joe Sahlen, the squad may have a chance to repeat in 2012. 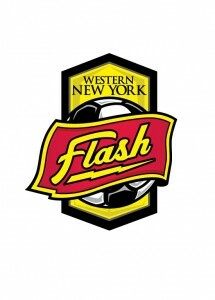 Just one day after the news that Women’s Professional Soccer (WPS) is suspending its 2012 season, we have learned from a senior official at the Western New York Flash, that Flash owner Joe Sahlen is working behind the scenes with the other franchise owners to save the 2012 season. After campaigning successfully for a waiver from US Soccer to field only five clubs in 2011, and after holding and aggressively promoting this year’s college draft, WPS has announced their decision to suspend the 2012 season due to the financial cost of former owner Dan Borislow’s lawsuit against the league for suspending his magicJack franchise. According to WPS Commissioner Jennifer O’Sullivan, the cost of the lawsuit would put more than one club in a precarious position, requiring a new business model. The league’s board decided to suspend play for 2012, revise the business model and re-launch in 2013 with eight teams. Initially, Western New York Flash announced they would field a team for 2012 and affiliate with the best possible women’s league in the U.S. while waiting for WPS to come back. But today a team official told this reporter that Joe Sahlen, who is credited by many for saving the league for the 2011 season, is working to find a way to proceed with the 2012 season. The Women's Soccer World Cup final was an exciting game that made fans forget about gender, at least for the day. Had the United States Women’s Soccer Team held on to their second half and extra period leads in the 2011 Women’s World Cup there would probably have been dozens of articles written today about how the victory would change the culture for women’s sports and soccer in the United States. Because America is a country where most people generally give their loyalty to winners, most of those same writers are likely now writing about how women’s sports in general and specifically soccer can go back to their place on the back shelf of American sports interest. 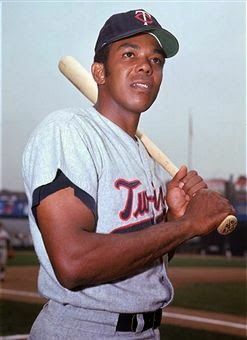 I have been a fan of soccer since watching Pele and the New York Cosmos and then playing the sport as a youngster on some of the first youth soccer teams in my area in the late 1970s. However, even if the American women had won, one tournament wasn’t going to change the fact that soccer is a sport that Americans care about much like they do the primary Olympic sports. When national pride is on the line we care, but the rest of the time we don’t really care and never will. I’m willing to bet if you walked the streets of just about any city or town in America and asked 50 people to name even one team from the MLS, most would look at you funny and ask “what is an MLS?” If you dared ask them about the WPS they would probably report you to the cops. But while the result of the Women’s World Cup final may not have changed that fact, just the interest given to the game by the mainstream media does have an impact in another important way. My seven-year-old daughter likes art, music and reading. There is absolutely no chance that she will be a professional athlete and though sports are on the television at our house almost continuously, she rarely has even the slightest interest. However, twice in the last few months I have seen a spark in her eye about commercials for sporting events. The first was in early April when the NCAA Division I Women’s Basketball Final Four was being promoted. The second was this week in preparation for the Women’s World Cup final. She sat and watched much of the women’s basketball Final Four with me and today though we were out and about during most of the game she navigated to the television when possible to see how the game was going and was genuinely interested when I would give reports while following the game on my phone. I asked her this afternoon why she was interested in those games and she said it was because it isn’t that often that women’s sports are on television and she likes watching them. Abby Wambach's improbable goal in the final seconds set up the USA for victory over Brazil. On the 12th anniversary of the biggest victory in United States women’s soccer history, the USA women’s squad pulled off a miracle that may eventually prove to be just as significant as their 1999 World Cup win over China. For most of their quarterfinal matchup against Brazil it looked like another nail was being put in the coffin of soccer in the United States. 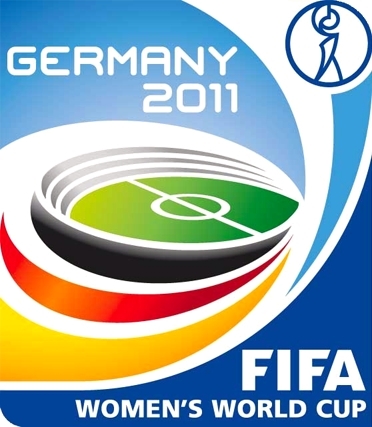 After the U.S. men’s team was the victim of awful officiating during the 2010 World Cup and FIFA by-passed the U.S. for hosting a future World Cup, the way it appeared the U.S. women were going to lose to Brazil would serve as another blow against keeping the casual fan interested in soccer. The U.S. scored early following a defensive miscue by Brazil and maintained that lead midway through the second half. Then as Brazil superstar Marta and American Rachel Buehler raced with their arms seemingly connected into the box, Marta fell to the ground and earned a penalty kick. While it wasn’t shocking that a penalty was called, it was a bit surprising that Buehler was given a red card considering that both players were going for the ball and there didn’t appear to be any malicious intent. The 2011 FIFA Women’s World Cup gets underway in Berlin on June 26th and it looks like a three-way battle for glory. Sixteen teams in total are battling for the biggest prize in women’s football (soccer) and Brazil, who can boast Marta – the biggest star in the women’s game with five consecutive FIFA World Player of the Year awards – will take some beating. Brazil are a creative side who have struggled to win big tournaments and will be looking to change that in Germany. The hosts could be one side likely to challenge the Brazilians for glory in the World Cup as they look to defend their title and the football predictions (soccer) reflect this. As usual, Germany are a solid unit and they have a great goalscoring threat of their own in Birgit Prinz. With a passionate home support behind them Germany could fancy a third consecutive World Cup title. The third big team in the tournament is the United States, who won the World Cups of 1991 and 1999. Never have the US finished outside the top three in any World Cup and, despite under-performing in qualifying, they should be there or thereabouts in the competition. If this isn’t a classic Buffalo story, I don’t know what is. Joe Sahlen, owner of a multi-generational family owned meat packing company and maker of the local favorite Sahlen’s Hot Dogs (the official hot dog of the Buffalo Bills) has made his apparently large amount of money honestly. True, he inherited the company from his father and grandfather before him, but he’s done a good job keeping the business from running into the ground like a lot of subsequent generation executives often do. He’s scrappy, intuitive, flies by the seat of his pants, and does things because he wants to. When his daughter, Alexandra Sahlen, was having to commute all the way to Rochester to play minor league soccer for the Rochester Rain, Sahlen did what any good soccer Dad would do— he bought his daughter a team and brought it to Buffalo, calling it the Buffalo Flash, making sure the team logo looked a lot like the Sahlen company logo, lest anyone forget the connection. Alexandra had made a friend in Rochester. A man named Aaran Lines, a former New Zealand international was finishing his pro career in the US minor leagues, playing finally, for Rochester Rhinos. Lines had been a decent player but had never coached at any level. Sahlen must have had a good feeling about Lines, because he hired him as the Flash’s head coach.